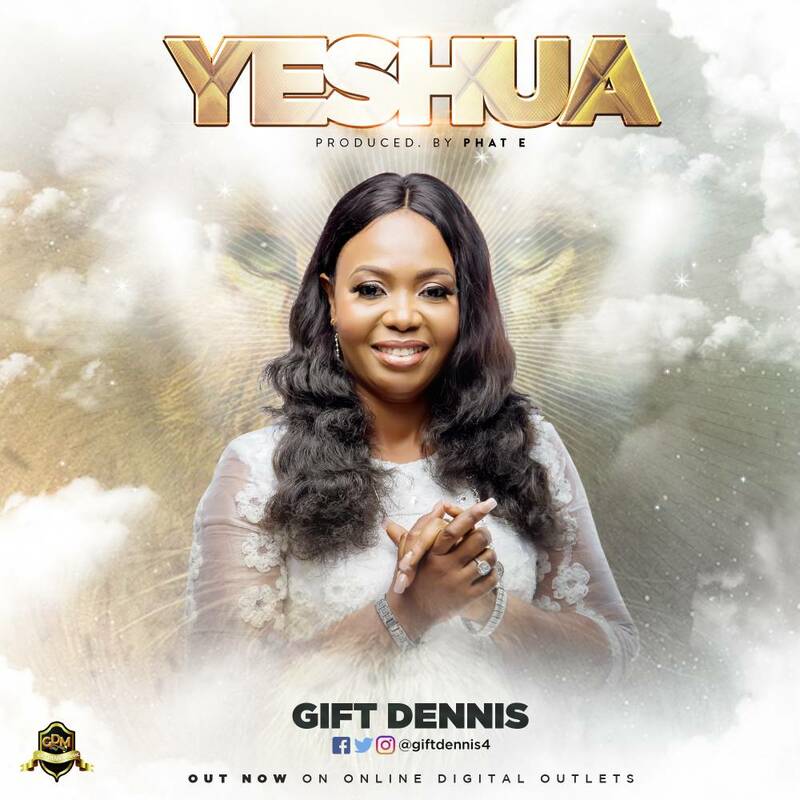 NEW MUSIC: YESHUA BY GIFT DENNIS | PRODUCED BY PHAT-E.
Worship leader, songwriter, performing & recording gospel minister, Gift Dennis releases a powerful new single titled - YESHUA produced by Phat-E. According to her: "'YESHUA' is a worship song that ushers us into the presence of the Most High God helping us to acknowledge the power, faithfulness and greatness of our Lord Jesus Christ who deserves all of our worship, all the time. 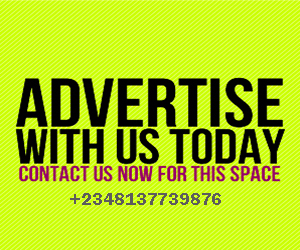 This song is out to touch and bless lives all over the world." Mowoo le gbe oga Oh! Mo ma woo le gbe oga oh oh oh! Mobere gbe oga oh oh! Olorun to le, Kabiyo mamasi oh! You are God all by yourself, Jesus Jesus. 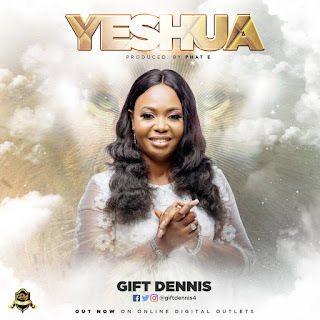 Gift Dennis is a worship leader, songwriter and performing & recording gospel minister. 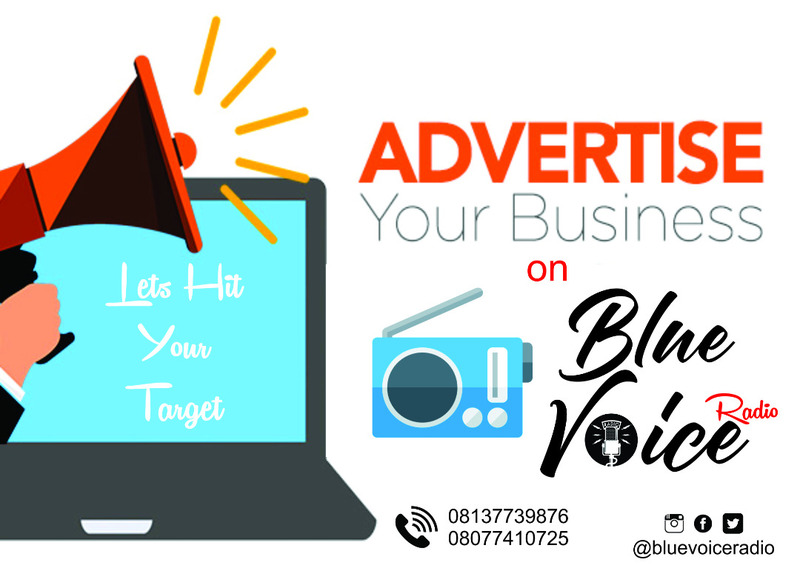 She is a full-time, vibrant gospel minister with an electrifying voice who started her career in music in the early stage of her life singing in Children’s Choir way back in the Anglican Church. She then continued as a chorister and praise leader at Living Faith Church (Winners Chapel) Ago-Iwoye way back in Olabisi Onabanjo University, Ogun State and also in Faith Renewal ministry, Lagos and as well singing in various Church programs and events till date. She started as a full recording gospel minister in 2012 with her first album released In 2013 titled “Onye-Eze” which touched so many lives, and in 2015, she came out with her 2nd album titled “Living Testimony” which paved the way for her in the gospel music industry and recording huge fans all over the globe. 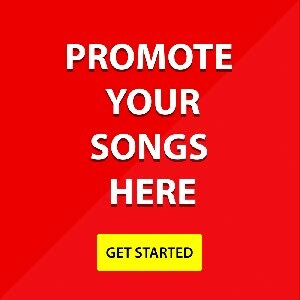 Gift Dennis releases her music under GD Music management. GD Music is highly grateful to God for the singing ministry of Gift Dennis which has been a blessing to most people in the world today. Her music is the combination of sounds and her electrifying voice refreshing the spirit and soul of men calling them into the atmosphere of Worship. Her latest single titled “YAHWEH” is an electrifying, spirit-filled worship song that will capture and turn the heart of many to God. In Gift’s assertion, “God is absolute reality. There is no reality before him. There is no reality outside of Him unless he wills it and makes it.” She prays that everyone who listens to this song will have such an experience as recorded in Psalms 135:1-21. Gift Dennis is married to Rev. Dennis Odili and blessed with 2 lovely kids to the glory of God.